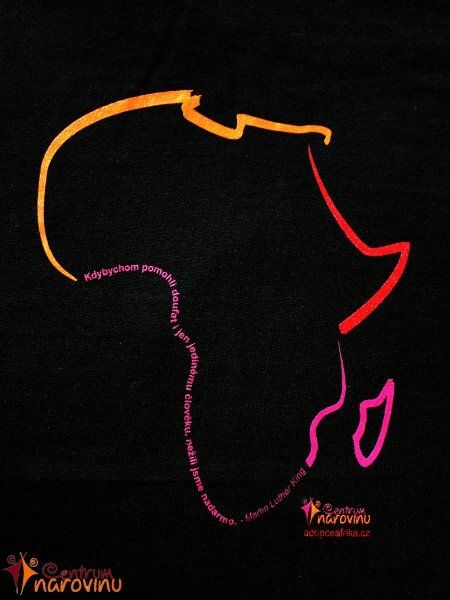 Woman black T-shirt printed with the map of Africa, quote, "If we hope to help even just one person, we did not live in vain. – Martin Luther King" and the logo "Centrum Narovinu". We offer three size variants S, M and L.